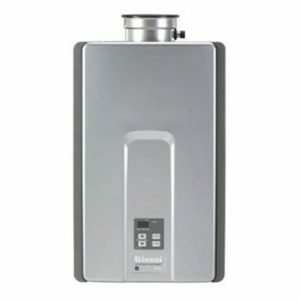 The Rinnai RL75iP Tankless Water Heater is changing the way people use hot water. The Luxury Series offers a sleek design that delivers what you want most: the endless comfort of hot water. Featuring Rinnai’s smart Circ-Logic™ technology, which provides the homeowner with the ability to adjust for peak times. Because of the Circ-Logic™ technology, the RL75iP delivers up to 7.5 gallons of hot water per minute. Lastly, RL75iP is ideal for two- to three bedroom homes and small commercial applications.